IMPORTANT: Data in the Acquisition Overview reports is currently only available since July 2013. Historical data still needs to be accessed through the All Traffic report. If you customize the Channel Groupings, they will only be reflected from the day the channel is changed forward; they are not retroactive. The problem with Google’s definitions is that your own definitions for each channel might not line up. For example, many people initially assumed all “Generic” Paid Search contained in Other Advertising and Display. If that’s the case, this will undoubtedly lead to inaccurate conclusions being made from using the pre-defined data. Use the system defined rules with modifications. Finally, keep in mind that data in this view only goes back to July 2013, so any historical reporting will still need to be done from the All Traffic report. Use your regex to pull this data, and create a custom channel to ensure consistency between the reports. 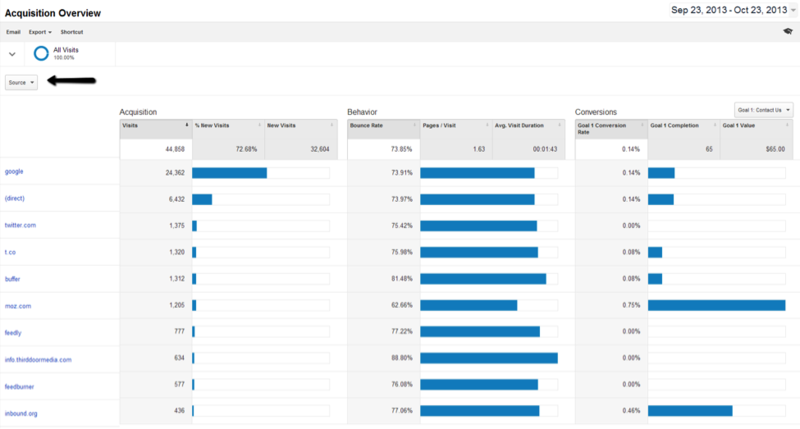 The biggest advantage to the Acquisition Overview report is the ability to create and customize Channel Groupings that make the most sense for your client’s site. 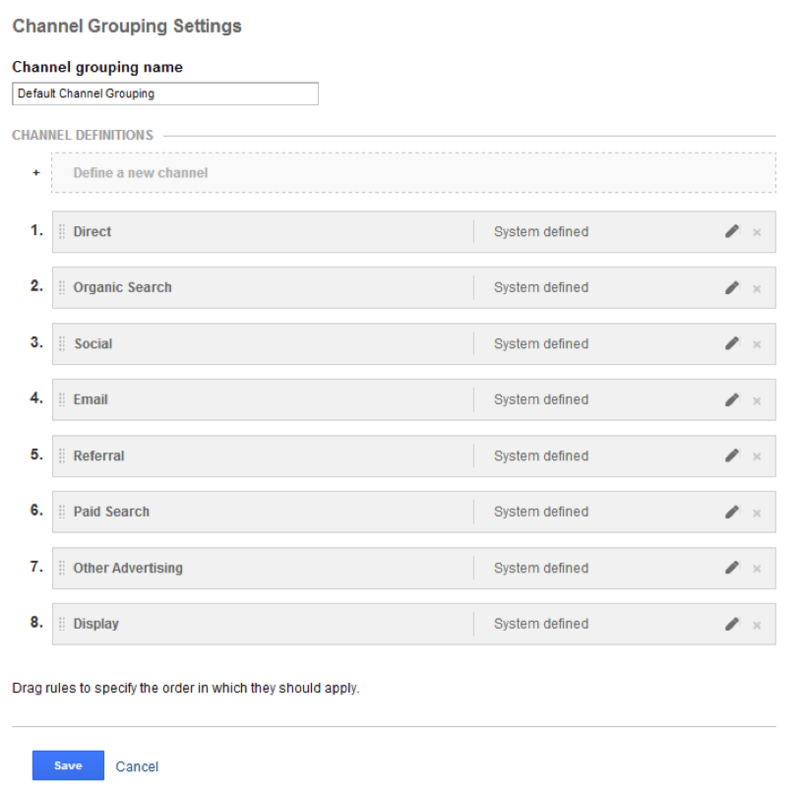 As previously noted, Google supplies 8 system-defined Channel Groupings that can only be modified by adding additional rules to the system defined portion. 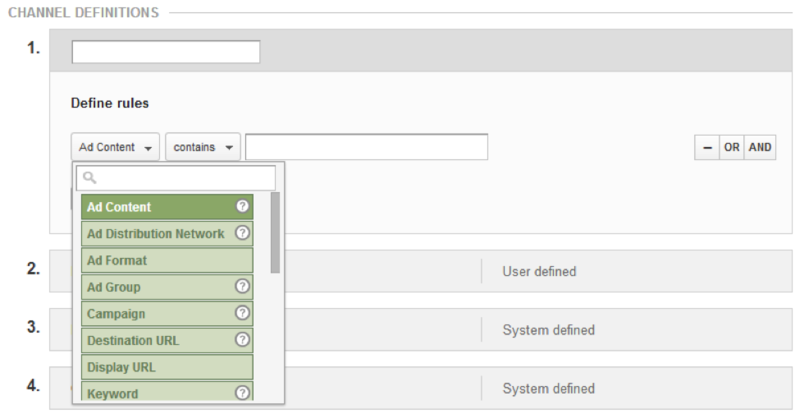 However, new custom channels can be defined, defaults deleted, and all reordered to best suit your needs. Order your channels as they should be applied, so that more specified channels are above catch-alls. 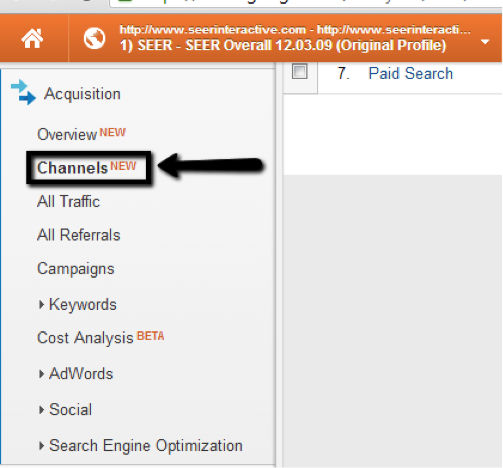 For example, a custom channel for specific referral traffic would be placed above the default referral traffic. This applies to newly created channels and edits on existing channels. Changes and additions are not retroactive, and any data reported on will be reflected starting on the day the channel goes live. This functionality is similar to how implementation of profile filters works. If you’re not currently tagging URLs in your marketing campaigns, you may want to consider doing so. It will help you manage your efforts, and protect against any unannounced changes that Google makes to their definitions. If your tagging doesn’t match Google’s standards, that’s ok, you’ll just want to customize your channels. 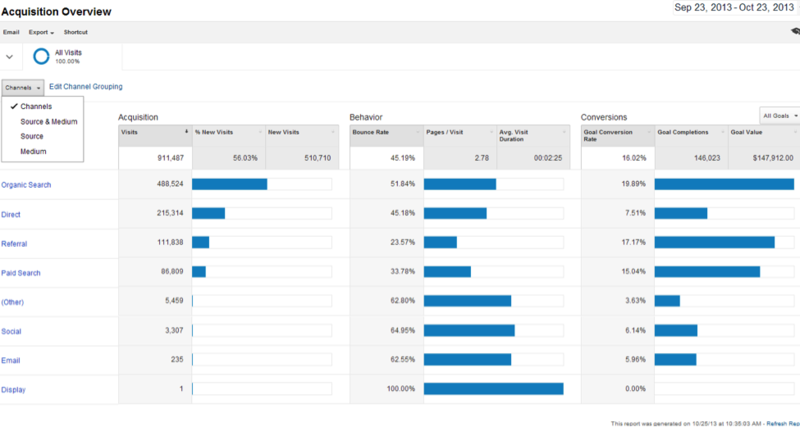 You have custom campaign parameters in place that doesn’t match all the system-defined channels. 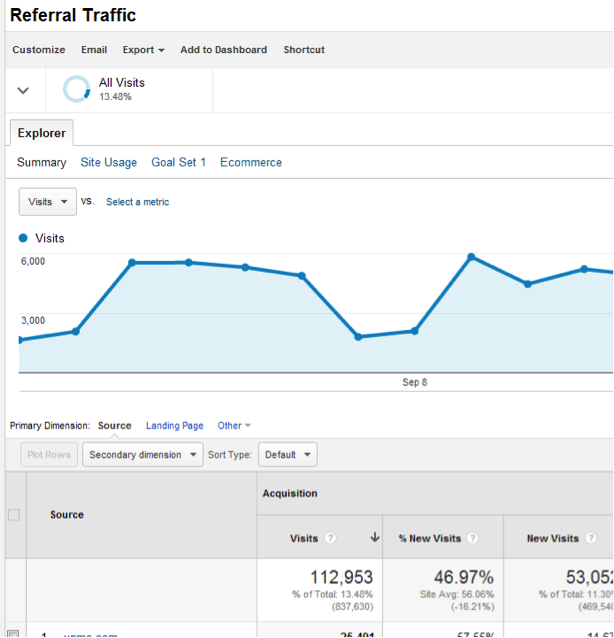 You have affiliates, or owned websites that might be better separated out of “referral” traffic. 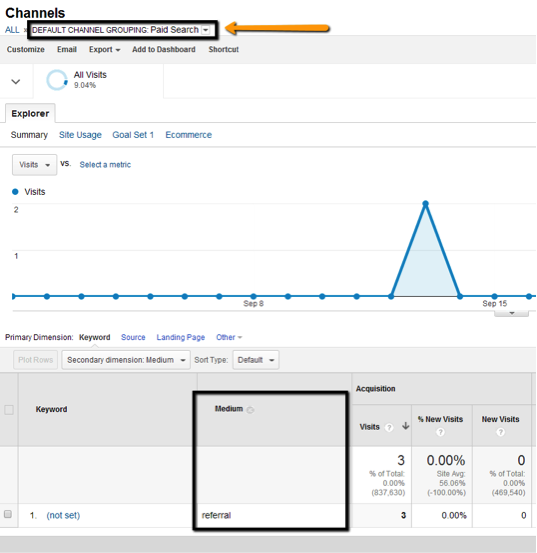 You have a large amount of visits in “Other Advertising” that could be broken out. 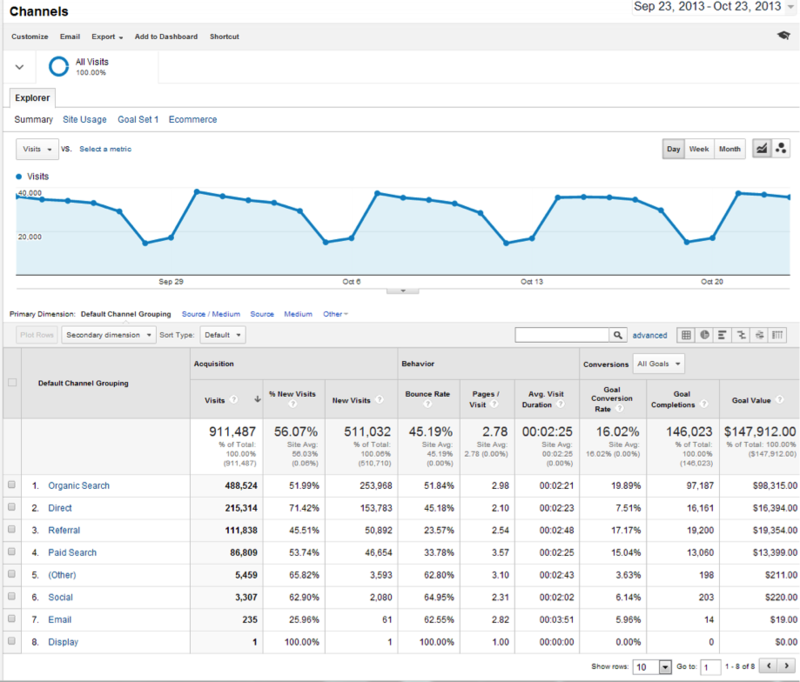 You want to provide more granularity in your channel reporting. You want to separate channels from a specific medium in additional ways such as source or campaign. If you manually tag your video ads you could use this regex to capture by medium. 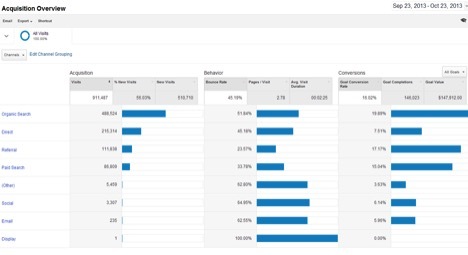 Or you can distinguish paid video ads that might autotag using campaign names. If you’re tagging your paid, promoted posts/tweets separately from your regular social posts, you’ll likely want to separate them from social. Setup of this could vary greatly depending on how you’re currently tracking affiliates. Assuming your affiliate parameter isn’t excluded in your GA setup, here’s one way to set it up if your parameter is afid. If you have more Facebook traffic than all your other channels, you might not want it rolled up into the default social channel. Add this channel ABOVE the default social channel. If you have more Twitter traffic than all your other channels, you might not want it rolled up into the default social channel. Add this channel ABOVE the default social channel. You could also add Hootsuite, though Hootsuite supports other social channels. 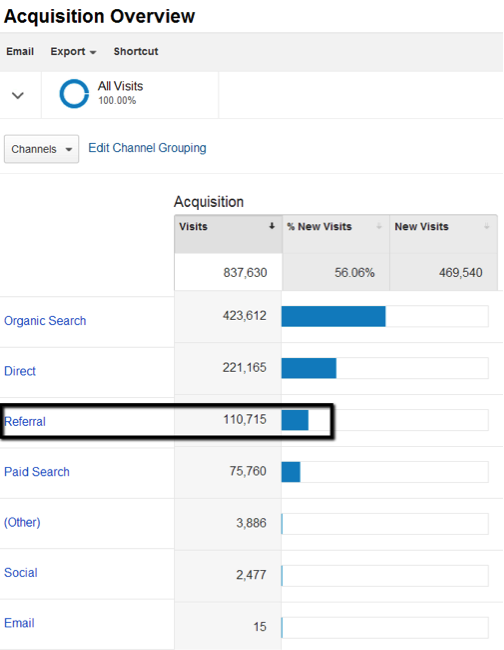 If you have more Pinterest traffic than all your other channels, you might not want it rolled up into the default social channel. Add this channel ABOVE the default social channel. Leave us a comment and let us know which channels you’re creating with this new feature.